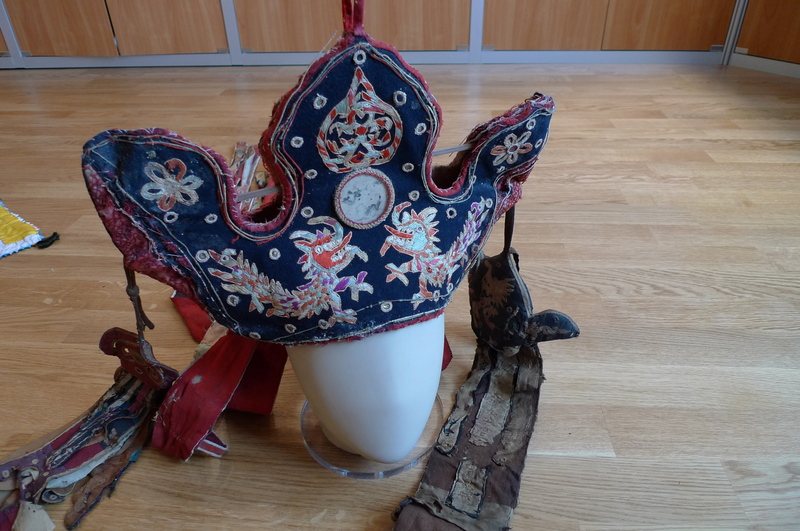 This huge headdress comes from the Cao Bang province in northern Vietnam, where it used to belong to a shaman of the ethnic Nung. 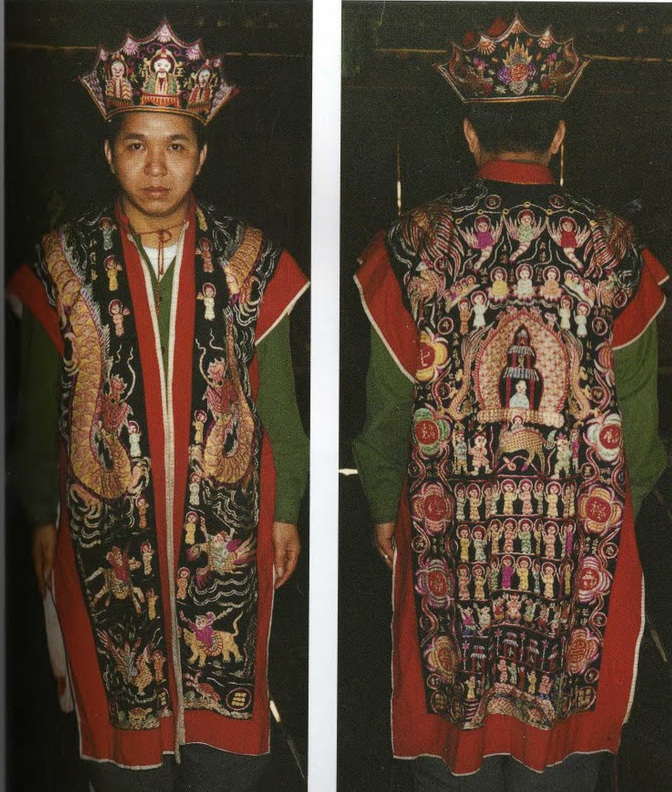 In addition to traditional a three-prong shape of the shaman headdress, symbolizing fire, and the hat is embroidered with colorful dragons, flowers, and small mirrors sewn on the frontal part. 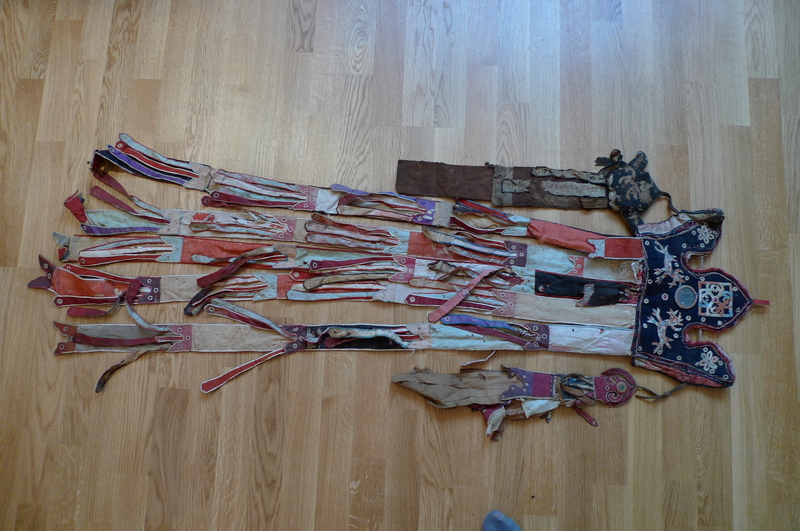 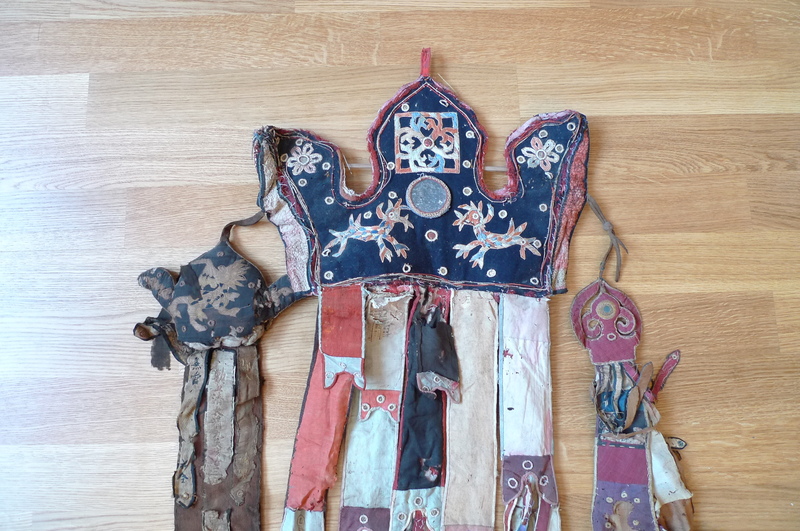 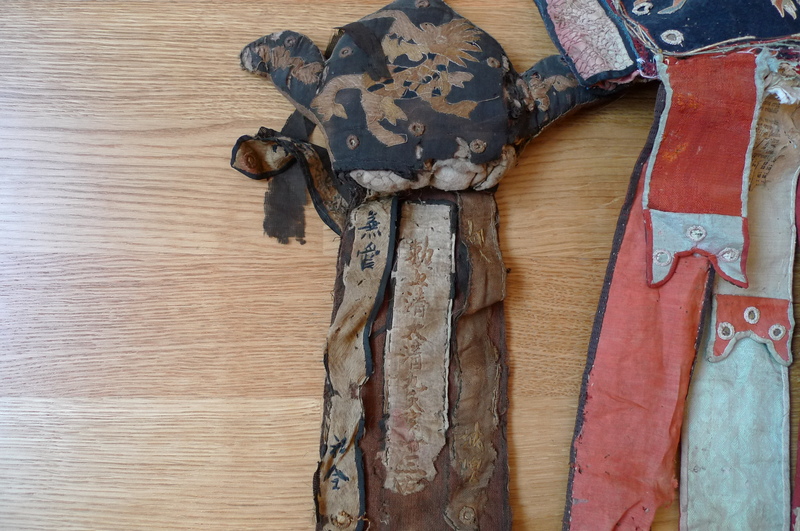 In addition, on the sides and in the rear of the headgear are hanging ribbons, padded with newsprint, about five feet long, with hieroglyphic inscriptions sewn on them.